This quilt creates the feel of a football field. Kit includes scarlet and gray fabric to celebrate The Ohio State University Buckeyes! There is enough fabric for the top and binding. Fabrics may vary from photo shown. 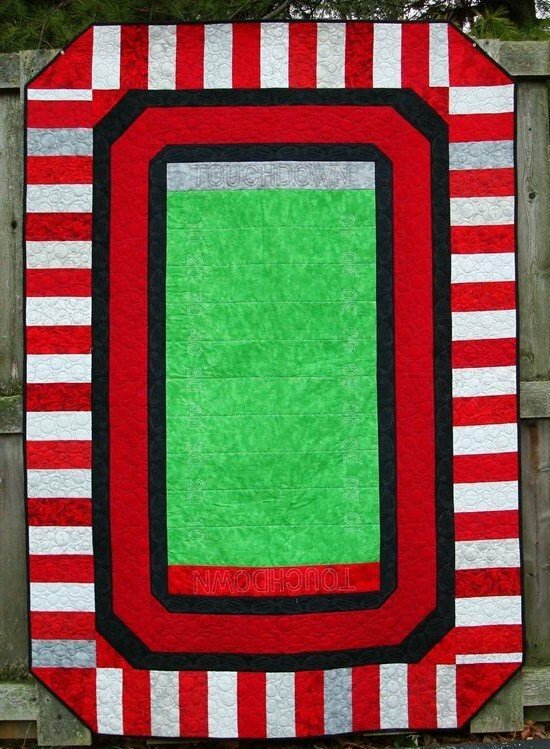 The pattern is also included, but you can buy it separately if you wish to make this quilt with your own favorite team's colors. Finished size ~ 51"x75". Fabrics may vary from photos shown.